Dr. Strobino’s research career has been devoted to maternal and child health (MCH) research with a special focus on the health of disadvantaged women during pregnancy and their young children and families. 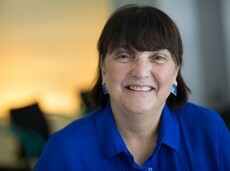 Her major perinatal health research contributions center on understanding the reasons why disadvantaged women have unfavorable pregnancy outcomes and interventions to improve their outcomes, including among teenagers, low-income women, African American women and women who use drugs during pregnancy. More recent research addresses maternal mental health as well as the interface of women’s chronic conditions and mental and psychosocial health in pregnancy with an eye to reducing neonatal morbidity as well as the burden of disease as women age. She has also studied the impact of maternal depressive symptoms on young children’s behavior and growth as well as parenting behaviors and use of preventive health services. Her more recent collaborative work investigates the impact of early infant loss and maternal complications on depressive symptoms among women in rural Bangladesh. She has conducted numerous evaluations of perinatal health programs in a variety of settings and pediatric programs for young children. She was Principal Investigator of the national evaluation of Fetal and Infant Mortality Review Programs and was a key investigator for the national Healthy Steps evaluation. Dr. Strobino currently works collaboratively with students and other faculty on studies of maternal morbidity and its impact on postpartum health, as well as the impact of chronic conditions on morbidity. She also was a Co-Investigator of the HRSA sponsored initiative, Strengthen the Evidence for MCH Programs, that completed evidence reviews for 10 MCH national performance measures to support states in their development of evidence-based or evidence-informed strategies to promote the health and well-being of MCH populations in the United States. She also is core faculty in the Women's and Children's Health Policy Center (WCHPC) and the Women’s Health Research Group at JHU. She has been the Principal Investigator of the Center of Excellence in MCH in Education, Science and Practice since 2004 and of the MCH Epidemiology Doctoral Training Program since 2008. Surkan PJ, Sakyi KS, Christian P, Mehra S, Labrique A, Ali H, Ullah B, Wu L, Klemm R, Rashid M, West KP Jr, Strobino DM. Risk of Depressive Symptoms Associated with Morbidity in Postpartum Women in Rural Bangladesh. Matern Child Health J. 2017; 21(10):1890-1900.